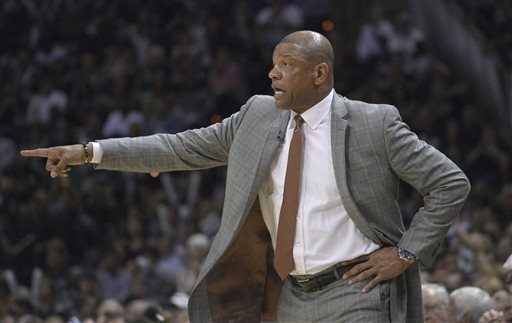 (NESN) – Doc Rivers always speaks his mind, and sometimes, it costs him dearly. Monday night wasn’t one of those times. Rivers’ Los Angeles Clippers erased a first-half deficit to take the lead over the Houston Rockets in the second half, and that had the head coach feeling pretty good. So during a rather quiet lull in the action at Toyota Center, Rivers decided to have a little fun with the Houston crowd.